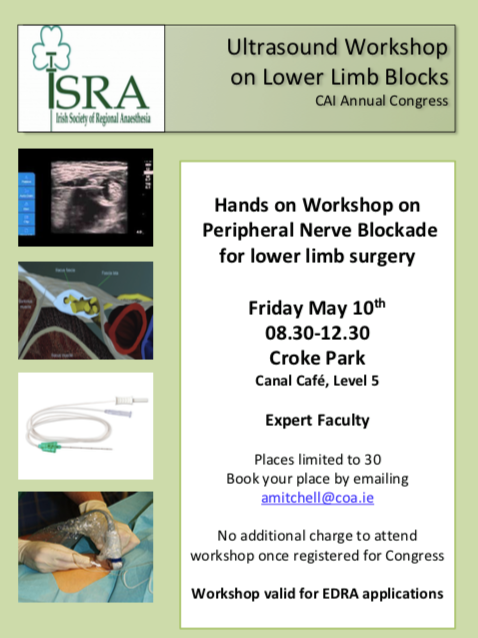 Our next workshop is on May 10th at the CAI Annual Congress in Croke Park. Small group interactive hands on scanning of peripheral nerve blocks for lower limb surgery. Remember to book your place early. Place are limited to 30 and bookings can be made by e-mailing amitchell@coa.ie.